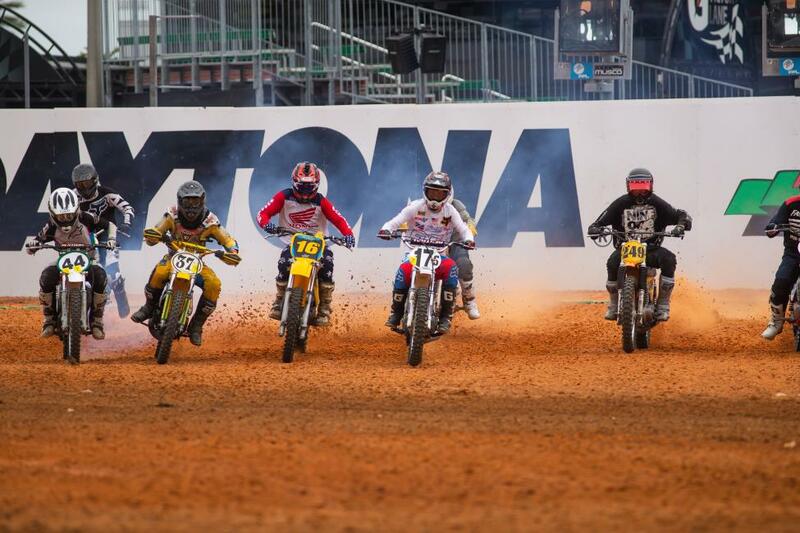 DAYTONA BEACH, Fla. (March 19, 2019) – The inaugural Daytona Vintage Supercross (DVSX) took place on Tuesday, March 12th at the historic Daytona International Speedway. Over 20 classes ranging from 125cc to Golden Masters (60+) were featured. Classes were broken into six different groups starting with Vintage and going through 2008 with the Revolution 2 classes. Before the second moto, Conklin was able to drill out the old bolt and fit a new foot peg. “We had an old 400 frame laying around and my dad bought a “Craig’s List” 250 Maico for $1500 so we made one bike out of two,” said Berry. 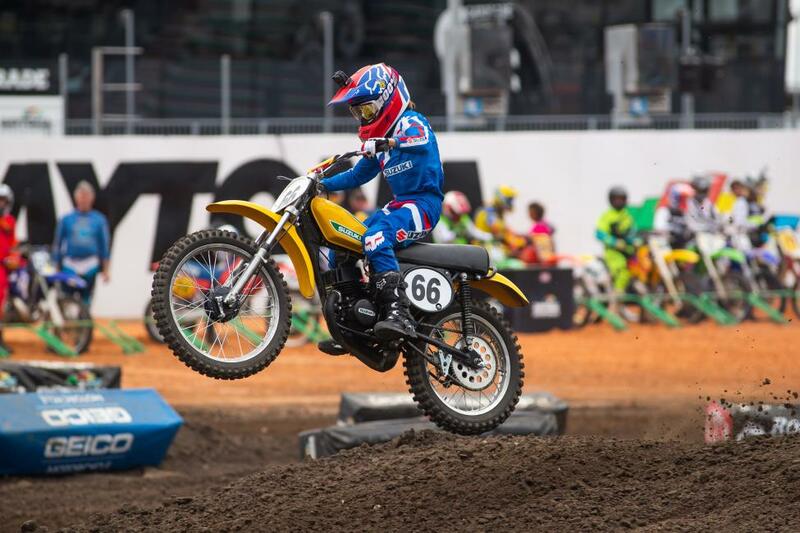 The Vintage 125 class, which was a cool exhibition of 70’s era vintage bikes, was won by Charles Carter with fellow Suzuki rider Casey Cochran in second. Nicholas Devito was third on a Kawasaki. Sixty-one-year-old Elmar Kruza won the Vintage Masters (50+) class on a 1974 380 CZ. Kruza says he started racing in ’72 and never stopped. 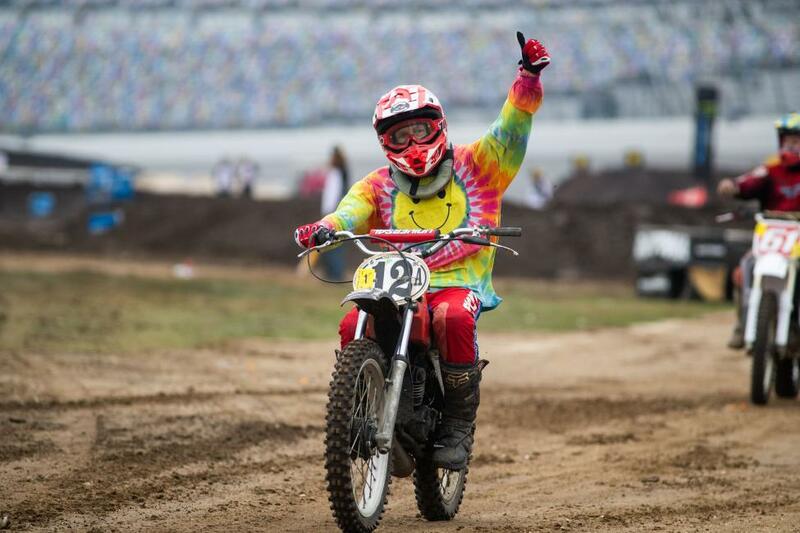 For more information on the Daytona Vintage Supercross and Ricky Carmichael Daytona Supercross, visit the series official website at www.racedaytona.com or call (304) 284-0101. Join the conversation on the event’s social media channels, along with receiving the most up-to-date news and exclusive content. 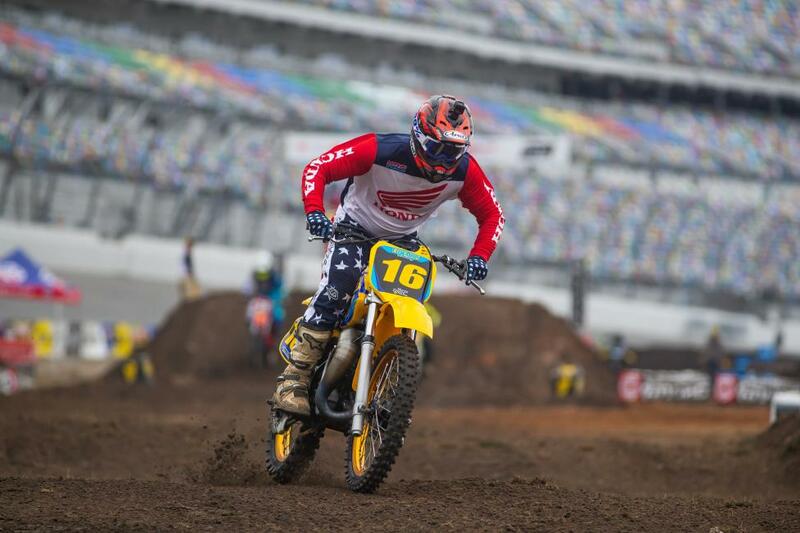 The Ricky Carmichael Daytona Supercross event is the world’s largest three-day amateur supercross event. 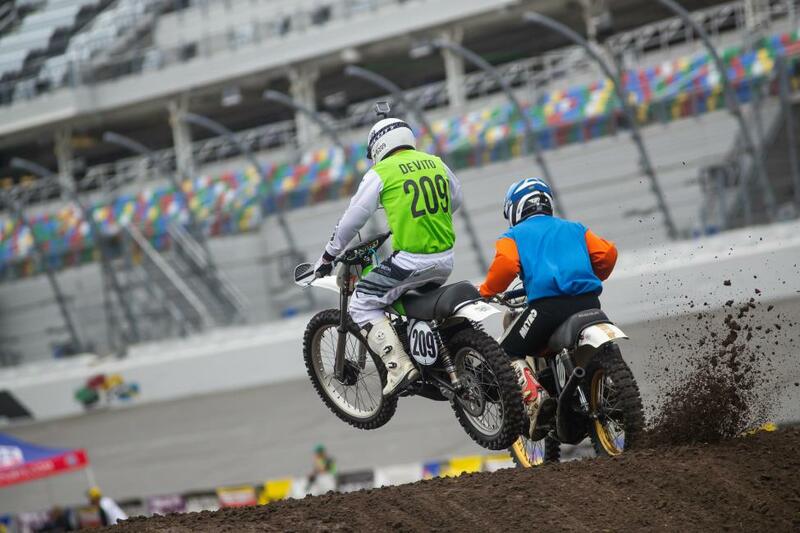 Hosted annually since 2010 at Daytona International Speedway in Daytona Beach, Florida, the class structure includes 34 classes from youth riders on 50cc bikes all the way to Golden Masters (60+). The race follows a supercross format, using heat races and last chance qualifiers to seed the field of riders into the main event in each class. In collaboration with 15-time champion Ricky Carmichael this event is produced by MX Sports, Inc., a West Virginia-based race production company and sanctioned by AMA. For more information, please visit www.mxsports.com.